The overall pass percentage is 85.49. Students will get their marksheets later in the day. 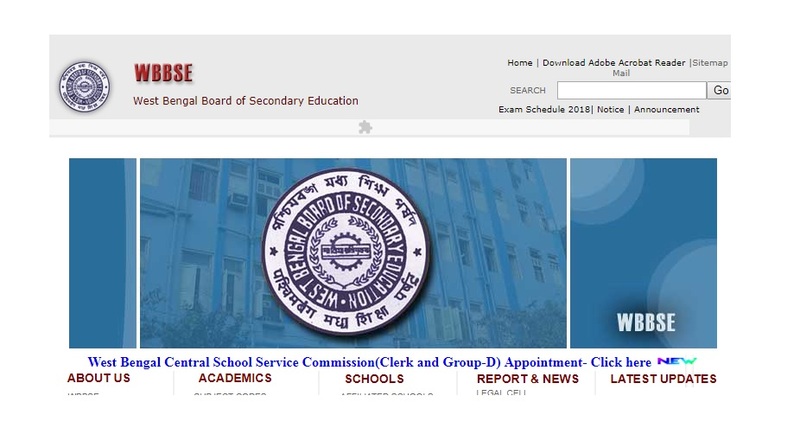 West Bengal Madhyamik Result 2018: The West Bengal Board of Secondary Education has declared the WBBSE Result 2018/West Bengal Madhyamik Result 2018/West Bengal 10th Result 2018 on the official websites wbbse.org and wbresults.nic.in. The overall pass percentage is 85.49. Students will get their marksheets later in the day. The board had earlier announced that the results would be declared on or before June 2. According to information, as many as 10,84,187 candidates had appeared in the West Bengal Madhyamik exams. East Midnapore district emerged the overall topper with 96.13%, while Kolkata recorded an overall pass percentage of 91.11%. Boys have scored better than girls. Sanjeevani Debnath from Uttarbanga has topped with 689 marks, while Shirshendu Saha (Bardhaman) with 688 marks has finished second. Nilabaja Das (Bardhaman), who has scored 687, shares the third rank with two more candidates. The board announced that the West Bengal Madhyamik exam 2019 will be conducted from 12 February 2019 to 22 February 2019. Once the WB Madhyamik Results 2018 link has been activated, candidates can visit the official websites and enter the information sought — including roll number, registration number, date of birth and other details — to check their marks online.